Campus: Surrounded by hills on all sides and especially the Shervoroy hills in the north east, Sona College is situated at the heart of the “Steel City”, Salem which is a well known district in Tamilnadu, South India. The College is one kilometre from the Railway Station and three kilometre from Bus-stand. Located in an arcadian environment, adjoining Thiagarajar Polytechnic, its elder sister, the college has a sprawling campus of 17.5 acres with a 2,65,000 sq.feet built up area. Central library: The Library has developed an excellent collection of books, journals and non-book material in science, engineering, technology, humanities, social sciences and management. It maintains separate collections of Reference Books, Bound volumes of journals, Technical Reports, Theses, Video Cassettes, Compact Discs and Microforms. The library is using Autolib OPAC (Online Public Access Catalogue), wherein the users can search the Library Online Catalogue by Author’s name, title, subject, and keywords available on the campus LAN. Staf Development Programme on “ADVANCES IN FUNCTIONAL FINSHES ON TEXTILES & GARMENTS” on 21st Nov. – 3rd Dec. 2011. 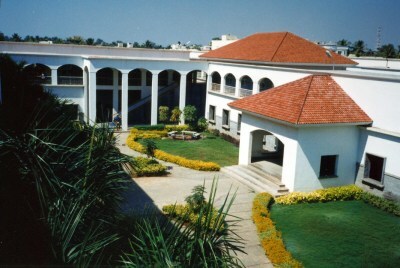 SONA – A Prominent member of the Prestigious Technology Hub.